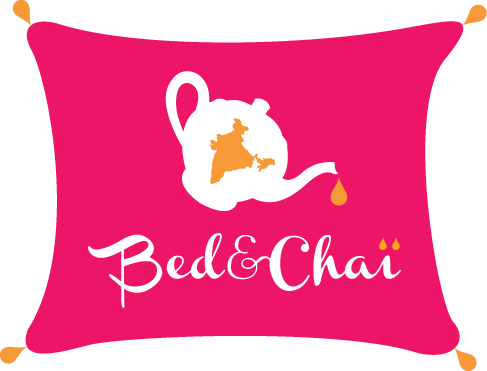 Since its opening, Bed & Chai endeavours to be a Guest House involved with the cause of environment preservation and social responsibility. - We make our own compost. - We have installed a recycling system. - We encourage our Guests to save water, hourglasses have been placed in showers to help them optimize their bathing time. - We serve organic products to our Guests such as coffee, milk, muesli, sugar and oil. - Our rooms are decorated with articles made from recycled products and local craftsmanship. - We help our employee Guddu in his personal project to empower differently people like him. - Collection of clothes for the NGO Goonj; these clothes are distributed in villages to underprivileged families. - Actions are carried out in favor of the NGO Tara which offers a home for children in situations of great vulnerability in New Delhi. - Our jam, apple juice and tea come from cooperatives. - A collection of drugs is done for Baba Medicine. - We help our employees to develop their own network and business: Guddu in creating his campsite Kolti camp and our former manager Bibesh who set up his own homestay in Darjeeling. Finally we have created a website for Arun’s taxi agency, our driver.